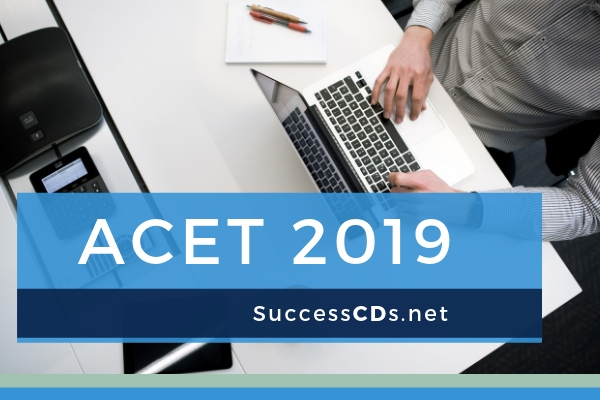 ACET 2019 - Institute of Actuaries of India will release the ACET Registration Form 2019 on 20th February 2019, for June Session on the official website. ACET (Actuarial Common Entrance Test) June/December 2019 online registrations will start from month of 20th February 2019 and close in the month of December 2019. Candidates are advised to meet the eligibility conditions. Candidates willing to fill the ACET Registration Form 2019 can check all information on this page. Candidates must clear their 10+2 examination or equivalent qualification with English as one of the subjects. Applicants, who already qualified higher level education and also those working and having qualifications in mathematical subjects, are also eligible to appear in the entrance exam. Postgraduate, Graduate, Engineering students, chartered, management students and cost accountants, company secretaries, degree holders in statistical sciences and mathematical etc, can also apply for the ACET. Mumbai, Delhi, Kolkata, Bangalore, Gurgaon, Chennai, Pune, Hyderabad, Jaipur, Ahmedabad, Lucknow, Faridabad, Chandigarh, Bhopal, Nagpur, Surat, Ranchi, Kochi, Bhubaneswar, Dehradun, Patna Vizag, Coimbatore, Baroda, Guwahati, and Raipur. Go to Institute of Actuaries of India (IAI) website (www.actuariesindia.org) and signup. On filling up the Online Registration Form, you will receive a confirmation mail at your registered email id giving you the link to proceed further by giving other details, uploading your photograph and making payment of registration fees by Debit or Credit Card or Internet Banking. In case you do not receive the confirmation mail, kindly get in touch with IAI at acet@actuariesindia.org or call at 022-67843355. After successful registration, you will be able to download the study material from your login download tab using the same id and password you had used for online ACET registration. Kindly take a printout of your ACET Online Registration Form, since you have to submit it at the time of taking admission with the institute. The registration fee for the entrance exam is Rs.3000/- (three thousand only). This covers the cost of the Welcome Kit inclusive of one Sample Paper and Online Exam. The registration fee once paid is neither refundable nor can it be carried forward for the next ACET.